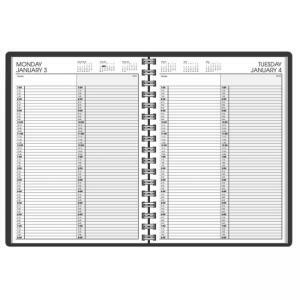 Media Size: 8" x 10.87"
At-A-Glance 7022205 Professional 2-Person Daily Appointment Book - Black Cover 8" x 10.87"
Two-Person Daily Appointment Book allows you to plan two schedules simultaneously. Ranges 12 months from January to December. Two-page-per-day spreads feature two schedules, quarter-hourly appointment times from 7 AM to 8 PM, and past, current and four future months reference. 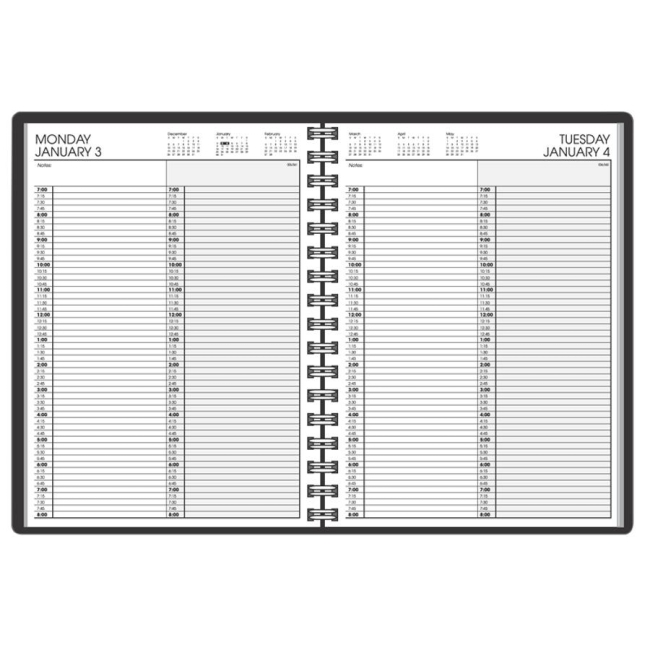 Wirebound appointment book features perforated corners for easy reference and a simulated leather cover. Pages are made with at least 30 percent post-consumer material.